Weeds are plants that grow in places where they usually don’t belong or are not wanted. Weeds come in range of shapes, sizes and forms. In the right growing conditions, they can pop-up in garden beds, cracks in the pavement or tiled surface, gutters, and around buildings. Despite being a nuisance to the average gardener, weeds are vital to a healthy ecosystem. That’s because they help stabilise the soil, provide food for wildlife, and a source of organic matter. The problem is weeds tend to overpopulate and compete with other plants we would rather display in our garden. All technicians are covered by public liability and professional indemnity insurance. All products and procedures meet Australian standards. And all chemicals are low-VOC to prevent harmful exposure to family, pets and wildlife. Dual Group also use non-chemical weed control methods to reduce the impact on the environment. This includes removing small invasive weeds and pulling, digging, mowing or hoeing large sections of weed plants. By doing so, this speeds up the process for us. And the savings are passed onto you. Dual Group regularly trains and keeps technicians up-to-date on the latest industry standards. We take enormous pride in our dedication to customer satisfaction and work closely with local residents to ensure their garden is healthy and looks fantastic. With our local knowledge and experience, your garden gets the treatment it deserves to thrive and produce stunning results. Are you tired of sweating it out in the backyard pulling out individual weeds? Call 1300 303 539 or send your online enquiry to have your weed problem solved for good. 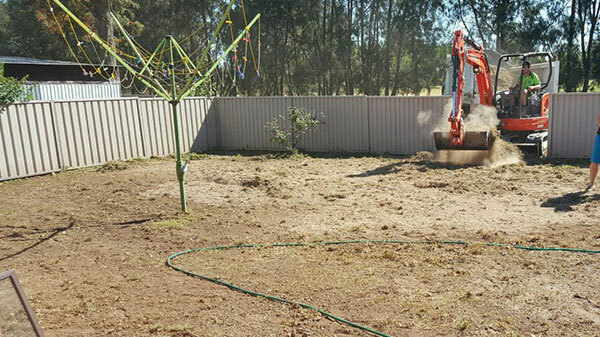 Dual Group is available across Sydney to provide weed control.